Fear and anxiety are a fact of life. It’s normal to be anxious about things and to fear the unknown. Sometimes, however, that fear and anxiety can be crippling. It can steal the joy out of everyday life. Teens may have an even harder time with this since they don’t always have the right tools to cope. So, how can we help teens overcome their fears and anxiety? This year has been a very tough one for Emma. She’s been facing a lot of medical issues, and has been to more doctor visits this year than she has in any given year to date. We’re on a journey to finding answers, but it’ll be another six months before we get definitive answers from a geneticist. In the meantime, she’s dealing with a lot of fear and anxiety about each new trip to the doctor and the unknown of waiting. The idea of waiting can be nerve racking, but this is done for your best interest. At least you are taking the next step into asking for help from someone who can provide you with a different perspective of what you are going through. You’ll be able to talk about anything you are going through and hopefully make any situation less stressful. Finding the right people to speak to can be hard. Some people tell you what you already know and you may find that some advice is not useful at all. If you are looking to find a specialist you can trust, you could look into a company like Advanced Urology who will make any concerns you may have a priority. When you are going through something like Anxiety, you don’t want to feel alone, but most importantly, you want to feel like people care. A journey like this will take time, but it will be worth it in the end. She’s begun having anxiety attacks on her most stress-filled days. On those days, her focus is on herself and her current situation. It’s hard for her to look past that day’s ailment to better thoughts. I struggle with my fair share of stress, fear, and anxiety. That’s more true these days as I wait for Emma’s big doctor’s appointment in October. However, I like to think I have more tools in my pocket for dealing with those tough emotions than she does. Some days they do get the best of me, but most days I’ve got a pretty good handle on them. I’m working to help Emma learn to manage those emotions, as well. With a few tools, techniques, and resources, I’m hoping to see a change in her demeanor. I don’t expect her to be smiley all the time. I don’t think that’s realistic even on the best of days. What I am hoping, however, is to rediscover a brand new Emma. An Emma who knows that the hard days will pass. An Emma who can remember that things could be worse. An Emma who knows that God’s got this, because we certainly don’t right now. Everyone needs a safe place to retreat. For Emma, that’s her bedroom (as I’m sure it is for many teens). After a particularly rough week last week, Em gathered all the fleece blankets in the house and made a fort in her bedroom. Then, she took an old tiny TV we have (one that only plays VHS), and lost herself in an old Disney movie. This was her way of removing herself from the mainstream area of the house and finding a secluded place to veg out. She had some art supplies in there, as well, and spent an entire evening watching old VHS video tapes her bestie loaned her. Whether your teen is dealing with health issues, AP exams, or just navigating the ocean of hormones raging through their body, giving them a space to regroup is so important. Some of them make use of CBD hemp oil for sale to help manage their stresses. It has been known to reduce anxiety. Some people who use CBD prefer using vape pens with vape carts as a way to help with their anxiety. Just breathe. I can tell Emma is about to have an anxiety attack, because she starts to pant and breathe heavily. When I see it coming, I quietly remind her to breathe. I talk her through taking deep breaths until she’s able to calm herself down. Oftentimes, when the episode has passed, she retreats to her bedroom to regroup before rejoining the family or activity. I also downloaded an app on her phone called MyCalmBeat. The app plays a rhythm that encourages her to breathe in and out slowly. There have been a few times she has opened the app on her own, and used it to self-soothe and calm herself down. When Emma was preparing herself mentally for an MRI a few weeks ago, I overheard her talking to herself. She was telling herself not to be afraid. She was reminding herself just to breathe. It would all be alright. Talk. Emma and I talk about what’s going on – a lot! However, she pointed out to me a few months ago that I talk about it too much. I’m the one online researching so I’m the one finding more information and statistics and such. I thought she’d want to know them, too. She doesn’t. She wants me to listen when she needs to talk. She wants to be the one to initiate the conversations. When she’s feeling overwhelmed, she needs to talk through her feelings and fears. When she’s sad, she needs me to listen and be there with a hug. When she’s frustrated by her limitations, she wants me to listen to her rant instead of trying to come up with solutions to the problem. She wants to talk. I need to listen. Let’s count our blessings. When my kids were little, we would end each prayer with “and thank you God for…” The kids would name three things they were thankful for that day. As they grew up, we moved away from saying bedtime prayers every night. And, we stopped thinking about three things we were thankful for every day. This period in our lives has reminded me just how important that practice really is. By ending each day with a list of things we’re thankful for, it helps us to reevaluate our outlook on life. It’s so much more productive than just saying “It could be worse” which I’ve said many, many times over the past months. Yes, you’re hurting right now, but I’m thankful for your awesome physical therapist. Yes, you’ve had to give up most of your dance classes, but I’m thankful for those true friends who check in on you when you’re gone. Yes, you are in a cast again, but I’m thankful that it’s only temporary. By changing the way we look at things, it alleviates much of the fear and anxiety that surrounds us. Get in the Bible and see what God says. I have to confess that this was not my first plan of action. I am the kind of person who tries to fix things myself. I often find myself turning to God as a last resort not a first step. But, I can’t fix this. I can’t make her better. I can’t take away Emma’s pain. I am helpless. So, when I discovered Candace Crabtree’s 31 Days of Battling Your Fears with the Power of God’s Word, I had a “duh” moment. Why didn’t I think about giving it to God first? We just finished studying the book of Genesis, and I was looking for a new Bible study for us to do together. This one just happens to be a perfect fit for our right now. Candace has created a fantastic resource, and I can’t wait to dive in with Emma. Each day, we’ll unpack a passage from the Bible. We’ll read it from the book, and then we’ll look it up in the Bible. 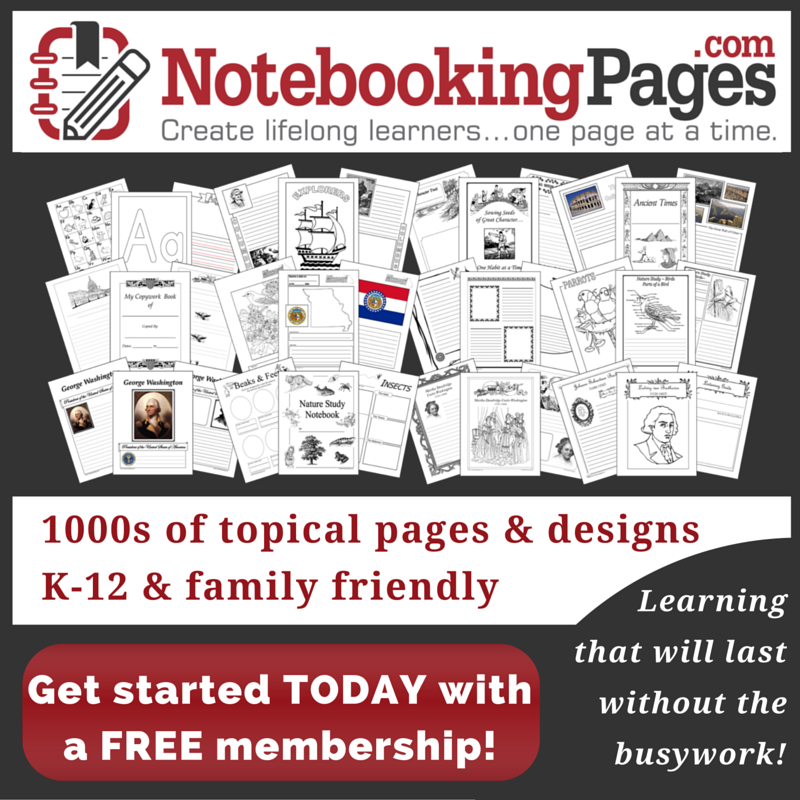 We may even add it to our “write the Bible” notebooks if it is particularly meaningful to us. Then, we’ll read and discuss the devotional that Candace wrote about each passage. She explains the passage, defines new words, and shows us how those verses apply to real life. From there, Em and I can discuss how these verses apply to our lives right now. Next come my favorite parts of the book. First is the ‘praying the scripture’ portion. I’m not typically a fan of ‘pre-written’ prayers. However, these prayers are short, and they are so relevant. And, if they give Emma and me a few prayers we can speak to our fears, I will be a big fan. Statements like “help me to trust you when the battle is raging all around me” and “help me to take courage even when it’s hard.” I’m hoping those statements will be little seeds that grow in our hearts as we face the uncertainty that lies ahead. We’ll end each day by counting our blessings. Whether we thank God for the sunshine and rainbows or for modern medical technology and our proximity to a great children’s hospital, we will take a few minutes to focus on the good things in life. If you or your teen struggle with fear and anxiety, how do you cope? Do you have any helpful tips? If you enjoyed this post, you may also enjoy these posts! 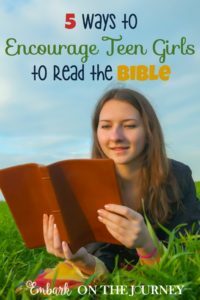 Wonderful tips, not just for teens, but for younger kids (and parents, too!). Had to tweet! Thanks for sharing. Sometimes when teens are troubled or struggling its hard for the teen to admit it to themselves, but its hard to admit it to ourselves as well. I found this infographic on http://crosswindsyouth.org/troubled-teen-infographic/ that helped me determine that my teen was indeed troubled and needed help. As a mother, this has been very hard to cope with so I hope this link and the website and services can help you as much as it did me. This was a wonderful article! I have a boy that struggles with anxiety and I often feel at a loss to help him. I try to remember the coping skills I developed over the years and yet he doesn’t seem to be wired the same way I am. I definitely am the type to read, read, read and find my own answers but he is not. I never really looked at all the time he spends in his room relaxing, watching movies, and spending time along as a coping skill but I can see that it is. Thank you. This is so great..and timely! I’ve got one tween and one teen (both girls) and they are stress bunnies right now: so close to the end of the public school year, and yet so far to go and so much work yet to be done. I especially “amen” breathing (love that app idea!) and talking. Pinned! 🙂 Stopping by from Coffee & Conversation! My youngest has anxieties and fears too. I think that giving her a space to decompress before I talk to hear or try to help her sort through emotions is immensely valuable. Pressing her right away tends to be counterproductive. Thanks for your thoughts and great post! Yes. I’ve discovered pressing my daughter too soon only makes the anxiety worse. This post is so important and straight forward. My daughter just became a teen. I will be rereading this for more tips. This is a great post. I can think of several people with teens that really need to read this. I really like how you comment about rediscovering a new Emma. Accepting the changes that she is going through and accepting the new person that will emerge on the other side. I wish you the best for you and your daughter. Thank you so much for sharing this. You can thank the Lord for giving you wisdom along the way. Walking by faith does not mean I need to read and pray all day, but that I take the light I have, and walk in it. Such a great and very well written post. More importantly, an amazing Mom. I could have used many of these tips as a teenager, but a parent being understanding of these needs is so important too. Many blessings to you and Emma on your journey. Thank you so much for your sweet words.